From the 24th of March until the 2nd of April 2017, I was in Senegal for an assignment for Save the Children. I organized a workshop on the different approaches towards ending Female Genital Mutilation/Cutting for local implementing partners of the Regional Office of Save the Children. 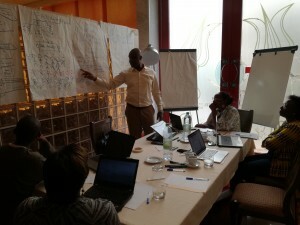 Four implementing partners from four different countries (Senegal, the Gambia, Mali and Guinea) were invited. This workshop was the kick-off of a larger assignment. 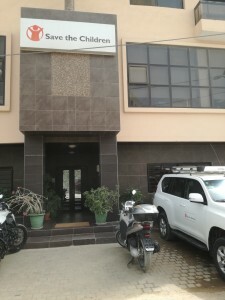 Save the Children is an international Non-Governmental Organization (NGO) that promotes children’s rights, provides relief and helps support children in developing countries. It was established in London in 1919 in order to improve the lives of children through better education, health care, and economic opportunities, as well as providing emergency aid in natural disasters, war, and other conflicts. In addition to the UK organisation, there are 29 other national Save the Children organisations who are members of the Save the Children Alliance, a global network of NGOs supporting local partners and Save the Children International in more than 120 countries around the world. The organization promotes policy changes in order to gain more rights for children, especially by enforcing the UN Convention on the Rights of the Child. The headquarters of Save the Children Sweden are in Stockholm and it has 8 regional offices throughout the world. The Regional Office for West Africa is based in Dakar – Senegal. SCS has been working on the issue of FGM/C since the 1980s. The major projects took place in West Africa. Therefore, the West Africa Regional Office was appointed by the Headquarters to become the FGM/C Global Focal in 2004, given the fact that significant knowledge has been built up in that region. Save the Children has been working in West Africa to contribute to the elimination of FGM/C and works specifically with partners in Senegal, Mali, the Gambia and Guinea. The local partners, as well as the regional office, have been working with state, community and civil society actors to implement projects to combat FGM/C in order to contribute to the eradication of this practice. Over the years, Save the Children has gradually shifted its approach from a health approach to a right-based approach. The organization believes that the right-based approach is a holistic approach which takes into consideration all aspects and all target groups. I was very happy when I received an e-mail from Save the Children that they selected me for this assignment. However, there were some constraints in relation to the time-frame. Since I had other teaching obligations at the University of Amsterdam in the period that this assignment had to take place, Save the Children recruited another (local) consultant who could do the fieldwork in Senegal, the Gambia, Mali and Guinea. Together with this consultant, I could develop the methodology of the capitalisation, do the analysis and write the report. 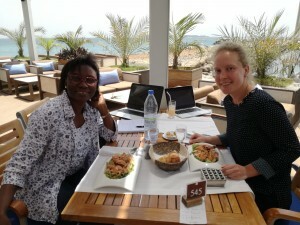 The consultant they recruited was Aminata Talla Diop, who I knew from my time in Dakar a couple of years ago. At that time, she was working for the German NGO Deutsche Gesellschaft für Internationale Zusammenarbeit (GIZ) and I interviewed her as part of my PhD research. Since a couple of years she is working as an independent consultant in the field of project management, CSO capacity building and gender. We had many Skype calls in the weeks before I traveled to Senegal, to discuss the assignment, to divide the work and to prepare the workshop that was going to take place in Dakar. When I arrived in Dakar, we had one full day to prepare the workshop, to discuss the methodology of the capitalization and to get to know each other better. 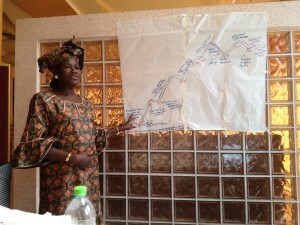 We invited the local partners from Save the Children to come over to Dakar for a three-day workshop. 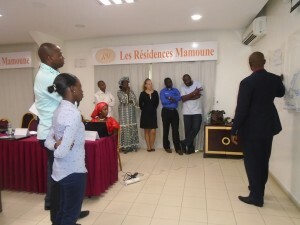 This workshop took place in Hotel Fleur de Lys in Almadies. 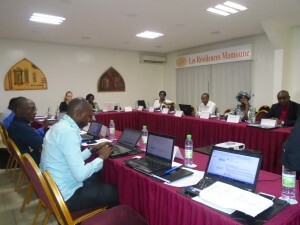 The aim of the workshop was to get a first impression of what has happened in the field the past 20 years in Senegal, Mali, the Gambia and Guinea. The first assignment for the local partners was to draw their ‘Save the Children journey’ and to present this journey to us. Since we had all four local partners together, it was very helpful to have discussions on how they see the approach of Save the Children in relation to the elimination of FGM/C in the four different countries. Among other things, we discussed the most effective strategies, as well as the extent to which these strategies met the needs of the direct beneficiaries of the projects. 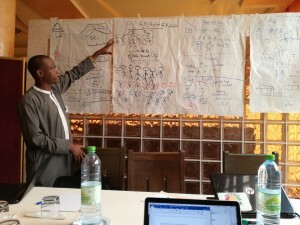 In addition, we focused on the factors that prevented or facilitated the effectiveness of the different strategies, as well as the extent to which the strategies have enhanced the skills of community actors and the level of participation of community actors in the implementation of the intervention strategies. Finally, the main lessons learned were identified. The last day, we presented our preliminary results of our workshop to the staff of Save the Children’s Regional Office in Hotel Résidence Mamoune in Dakar. Afterwards, we had the opportunity to present a detailed data collection methodology which resulted in a very fruitful discussion on the way forward and focus points of the capitalisation. 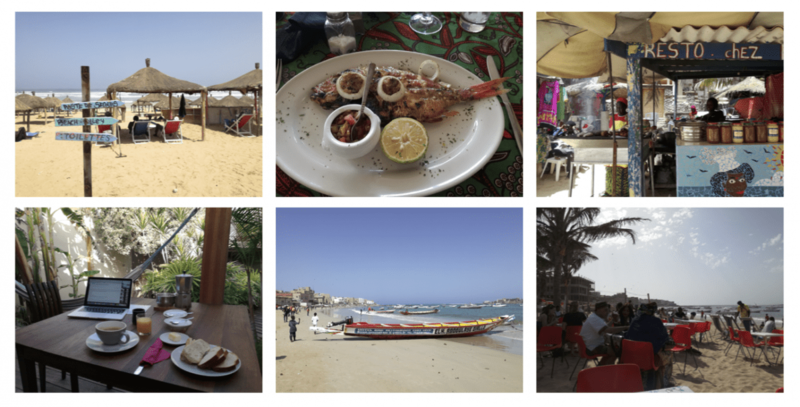 So nice to be back in Dakar!